Reporters are biased whether they donate or not; their biases should be out in the open. The “super depressing” story he was reacting to came from the Center for Public Integrity. According to its just-released study, more than 96 percent of donations from media figures to either of the two major-party presidential candidates went to Hillary Clinton. Left-wing outfits and various members of the journalistic guild nitpicked the report’s methodology. And they made some good points. The study blended former journalists and people in the journalism business with actual reporters. “No journalist should contribute, as far as I’m concerned, to political campaigns,” said Downie, who added that it creates “appearances of conflict of interest” for both journalists and news organizations. This is an ancient and — by my lights — ridiculous controversy. Anyone who has spent a moment around elite reporters or studied their output knows that they tend to be left of center. In 1981, S. Robert Lichter and Stanley Rothman surveyed 240 leading journalists and found that 94 percent of them voted for Lyndon Johnson in 1964, 81 percent voted for George McGovern in 1972, and 81 percent voted for Jimmy Carter in 1976. Only 19 percent placed themselves on the right side of the political spectrum. Does anyone think the media have become less liberal since then? Giving money to a liberal politician doesn’t make you a liberal. Being a liberal motivates you to give to the politician. The controversy over political donations gets the causality backwards. Donations to political campaigns are downstream of ideology. What I mean is, giving money to a liberal politician doesn’t make you a liberal. Being a liberal motivates you to give to the politician. I don’t give money to campaigns for any number of reasons. But if I did, would anybody be shocked if I gave to conservative politicians? Of course, I’m not a news reporter. I’m an opinion journalist. But imagine if instead of a prohibition on political donations there was a requirement. Reporters could give to anyone they wanted, but they had to make a donation of, say, $500. Does anyone doubt that the vast majority of reporters at the New York Times, the Washington Post, or NBC would give to Democrats? I understand bans on reporters giving to campaigns, but we should understand what those bans are: a means of hiding the political leanings of reporters from readers and viewers. This lack of transparency benefits news organizations, but it really doesn’t fool anybody — except maybe the reporters themselves. 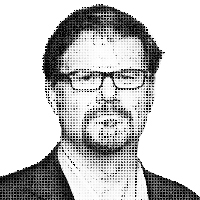 — Jonah Goldberg is a fellow at the American Enterprise Institute and a senior editor of National Review. You can write him by e-mail at goldbergcolumn@gmail.com. © 2016 Tribune content agency.